Abstract: The Encyclopedia of Laser Physics and Technology has become the victim of plagiarism, but RP Photonics fights against that - successfully so far. 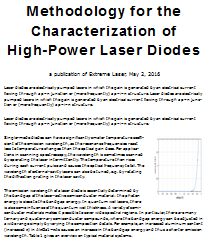 For the second time in 2010, I have been made aware by readers of my Encyclopedia of Laser Physics and Technology that substantial parts of its content have been unscrupulously copied for use on another website. I don't want to place links to them here, as these people do not deserve any extra publicity. Obviously, we must battle against such behavior, which can only be named plagiarism. The measures against the first two cases as mentioned above have been successful – in one case, the stolen content has been fully removed, leaving the whole website essentially empty. Apparently, the perpetrator (perhaps a student) was just totally unaware of the obvious fact that one cannot simply copy nice content from some other website and present as the own one (without any reference to the source!). In the new case, I have been dealing with a company, which integrated many exactly copied sentences from my encyclopedia into some glossary, but a reasonable solution has been found. Needless to say, I am grateful to any readers reporting such abuse of materials. Beyond that, I may have to regularly use Google to locate sample sentences on other websites.